Is Gustavus College’s “Fake News” Guide Reliable or Biased? Gustavus Adolphus is teaching students how to fight fake news. There’s concern, though, that the college is encouraging students to trust media outlets from only one end of the political spectrum. The guide is broken up into different sections: one tells students how to spot fake news, another gives tips on fact checking. 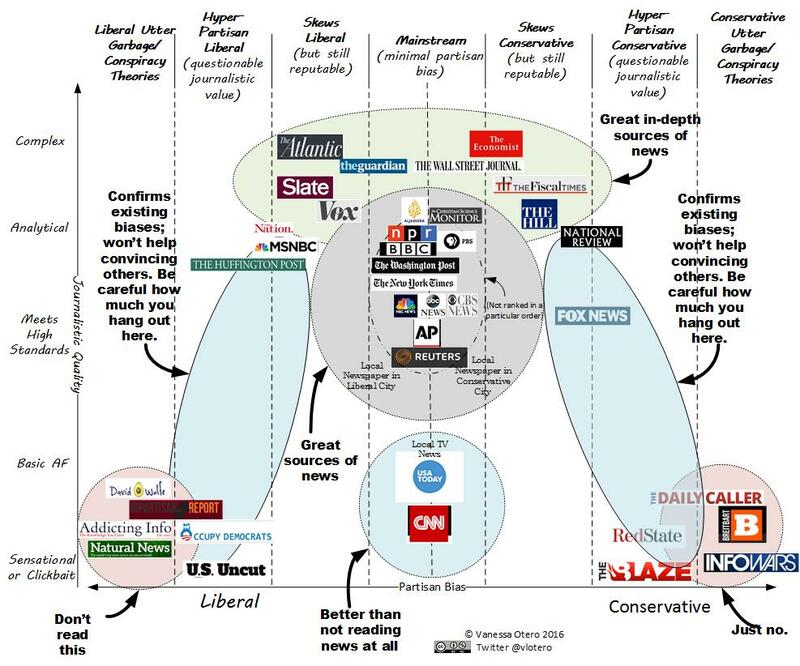 But the section that stands out the most is a chart telling students which news sources are the best. The “great” sources of news, with supposedly minimal partisan bias, include some eyebrow-raising choices. The chart creator, a patent attorney named Vanessa Otero, organized news outlets on the diagram according to their “partisan bias” and “journalistic quality.” The Daily Caller, a news source written off by Otero as “utter garbage” and “conspiracy theory” in appeal, sees the chart as an attempt to direct students toward liberal outlets. The Huffington Post, both U.S. and Canadian editions, is described as “hyper-partisan liberal” but this description only adds to the luster of its news, because it “meets high standards” that the news agencies with right-leaning audiences can never hope to reach. The guide’s “Tips on Fact Checking” section links to left-leaning sources like The Huffington Post —questionable journalistic value according to the chart— and The Atlantic. Oh, and an article written for Teen Vogue is also thrown in for good measure. While Gustavus’ library does admit “determining the ‘best’ sources to read will always have some degree of subjectivism,” its guide doesn’t give students much wiggle room to think for themselves. *An updated version of Vanessa Otero’s chart can be found here.